St. Paul of The Cross is one of my favourite saints. His acceptance of the Cross meant experiencing severe internal sufferings. Added to that were all the practical difficulties that he faced in trying to establish a new religious order. The Holy Spirit gave him a great love for England and a desire to come here to preach the Gospel. He never came, but was consoled at the end of his life by a vision of the work that would be done here by his order. This mission was to be taken up especially by Blessed Dominic Barberi and then continued by others. The days of the Passionists in Great Britain are now over. Such Passionists who remain are very few and unable to have much impact on the church. In the not too distant past we had some exemplary men giving missions and extending their ministry into other areas. I was privileged, whilst at seminary, to meet Fr. Austin Smith, one of those priests who had a mission to the "inner city". Unfortunately much of that work and the inspiration behind it has either been forgotten or quietly absorbed by groups like the Franciscans of the Renewal. I say "unfortunately" because there was a real radicalism about Austin Smith's vision. It would be a mistake to see it as a kind of "liberation theology" in action; it was not that at all, but it was fuelled by a real, heart-felt concern for the marginalised and the "masses" who found themselves sidelined in the supposedly optimistic 60's and 70's. 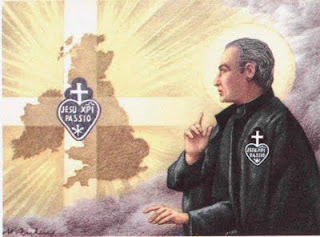 We owe a debt of gratitude to God for all the wonderful work done by the Passionist Fathers (and also by the Sisters of the Cross and Passion, inspired by the Passionist vision). Though they may not be seen again in strength, we should not forget them.